How much money must I send? ICPC Benin From The House Of the Presidency. 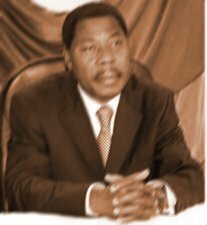 Does it mean that you are no more interested of making the claim of your outstanding fund US$4.8 Million of yours which have successful channel to transfer and reflect into your bank and up till this moment you have decided to remain silent after I have personally took an Oath for you to secure this fund. Transfer payment Slip to you for Handover. Please do not delay to send this fee Today because this is a last chance and final conclusion. Kindly do your best now to send the Fee and update me immediately for congratulations. Other details and Transfer procurement payment slip Sheet will be forwarded to your Bank Authority as soon as you send the Fee US$59 Today being Saturday and update me with payment information satisfied that you will rejoice right now. By virtue of law, you have to go now and make the payment of the required Fee as directed Below to enable the "Ownership Certificate" obtain and issue in your Name for your Funds Transfer to be made immediately because this is the time and moment you supposed to receiving of your contract funds as Beneficiary. The above money should be sent via WESTERN UNION OR MONEY GRAM TRANSFER within 24 Hrs in favor of the smooth confirmation of the funds of your Funds into your Bank Account. 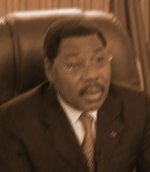 President of Republic of Benin, Boni Yayi. Code of Conduct Bureau against fraud, funds delay andimpersonation. What makes you think that you will not secure your fund and have Access of the fund as Beneficiary and you should know that I have made everything possible for you so kindly go now and send this FeeUS$150 so that the Ownership Certificate will obtain to enable the Transfer procurement payment slip submit to your bank authority for confirmation of the fund into your bank account. You are advice to send theUS$150 byWestern Union as directed below and update with the Attached Copies of payment Information for recorded as directed immediately and also get readyand I amat your Service because of your Funds transfer is READY which you know that you have to appreciate the effortthat Benin new present Government made for you to secure your fund with a copy of Transfer payment Slip to you for Handover. Other details and Transfer procurement payment slip Sheet will be forwarded to your Bank Authority as soon as you send the FeeUS$150 Today Tuesday and update me with payment information satisfied that you will rejoice right now. On behalf of this Democratic Government of United States of America (U.S.A), I apologize for any delay you might have encountered in receiving yourFund in the past. By virtue of law, youhave to go now and make the payment of the required Fee as directed Belowto enable theOwnership Certificate obtain and issue in your Nameof your Funds Transfer to be made immediatelybecause this is the time and moment you supposed to receiving of your contract fundsas Beneficiary. I officially wait for the Attached Copyof Payment Transfer Slip Information Scan for Recorded of yourFunds Transfer to be made immediately. The above money should be sent viaWESTERN UNION TRANSFERwithin 24 Hrs in favor of the smooth confirmation of the funds of your Funds into your Bank Account.